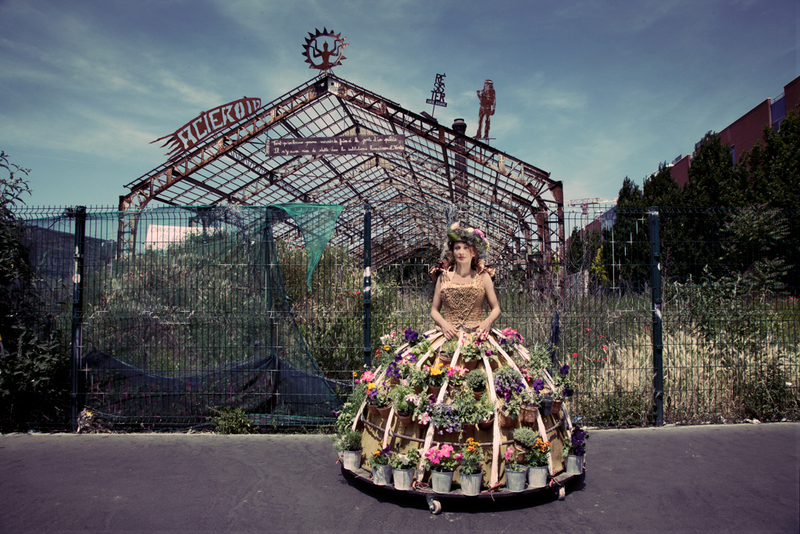 After the Mobile Garden Dress was in the Jardins Jardin garden show in Paris, we headed to the district of Montreuil to do a small street intervention where the dress left all of her plants on the fence of an abandoned lot. 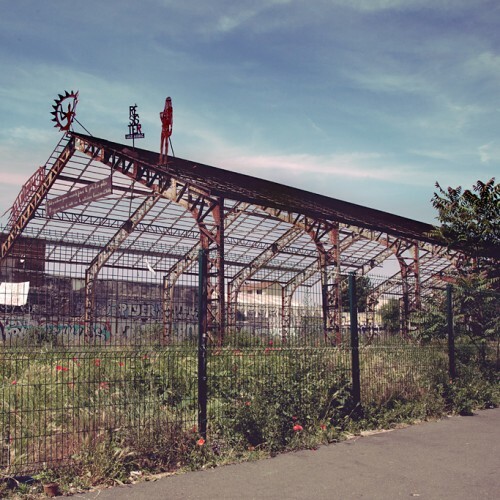 This site has an interesting history as it is occupied by the metal shell of an old factory attributed to Gustave Eiffel. 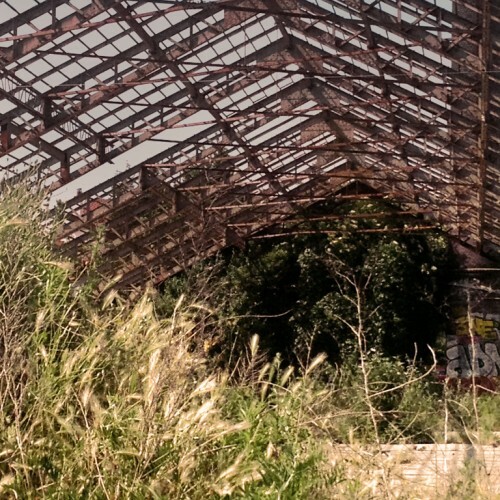 This beautiful structure has stood empty for many years and until recently it was a squatters camp for the nomadic Roma people. They were evicted by the municipality in 2013, after which a fence was erected. Artists have reclaimed the site with banners and metal sculptures. A sign in the middle reads: Tant qu’un home pourra mourir de faim à la porte d’un palais, Il n’y aura riend de stable dans les institutions humaines. [ As long as man can die of hunger on the steps of a palace, there will be no stability in our institutions.] A quote by Eugène Valrin who on November 14, 1869, helped found the Parisian Federation of Workers’ Associations and who was actively involved in the Commune of Paris during the French Revolution. 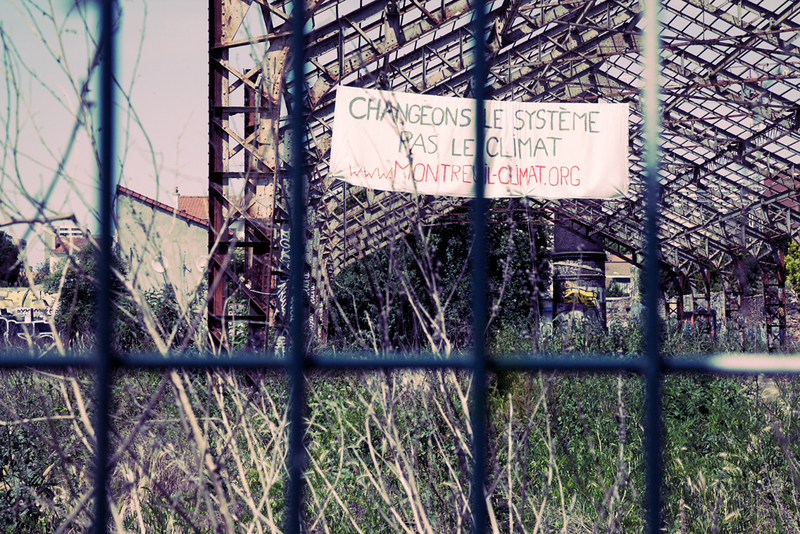 Below it a homemade banner declares: Changeons le système, Pas le climat. [let’s change the system, not the climate]. Another cut metal sign reads: RESISTER, Lucie Aubrac, who was a member of the French Resistance. 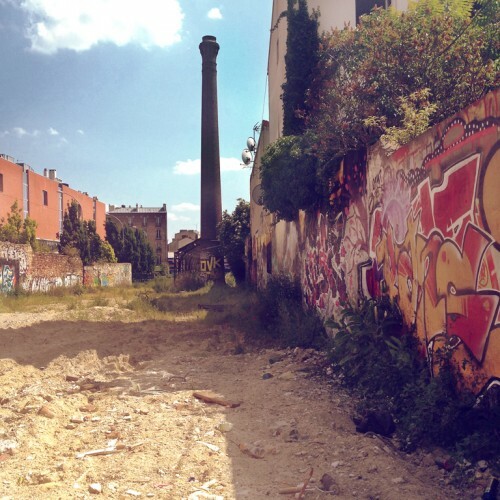 Interestingly Montreuil, which is the 11th arrondissement of Paris, was once a famous peach grove. The novel design of 300 hectare maze walls provided a unique microclimate for the fruit, supplying peaches for the court of Versailles and French nobility in the 17th century. Today the area is being reclaimed and preserved by the Murs à Pêche Association. 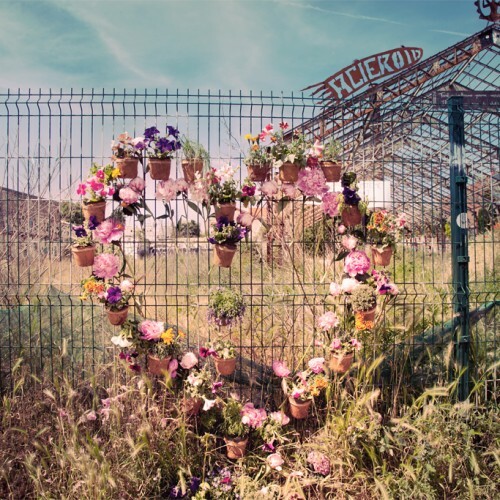 This “friche industrial” is slowly being reclaimed by weeds and annuals such as poppies and wild grasses. And so the intention of the intervention was to leave a gift of plants to the neighbourhood, which i am sure where repurposed as soon as we left. One local asked us at what time exactly we would be done so she could come by and get some for her garden. Evidence of the no-nonsense attitude of the active residents of Montreuil. Gros merci à Horya Salhi pour ça participation!